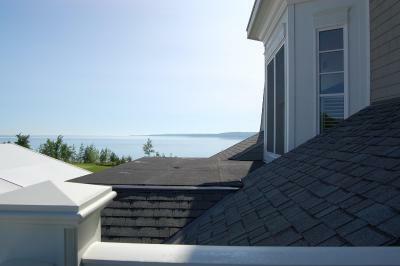 Lock in a great price for The Inn at Cobble Beach – rated 9.2 by recent guests! Common sitting area and access to board room gave us plenty of room for indoor activities. The location was beautiful and the accommodations quite comfortable. The Inn was so quite that we felt as though we were the only customers on site until we left our room. We particularly enjoyed the restaurant that was onsite even though limited entrees were presented for dinner. First of all - location. Perfect castle on the lake side with terrific views from the balconies. The personnel is very friendly and helpful. Jakoozi works until 9 pm officially bit the stuff can keep it open for you until 11. The dinners in the Sweetwater restaurant on sote are quite pricey but the food is of the good quality. We have stayed in a Reefsong suite, and this was one of the best rooms I have rented in Canada so far!!! We loved the plush bedding and kelly and jarvis are excellent! The bed was very comfortable and plush. The bathroom was large and well decorated, as was the room overall. The sitting area outside our room was lovely. I used the gym (which was pretty well equipped) and the plunge pool (refreshing at the end of the day). The trails were enjoyable in the evening, when it wasn't so hot out. It was very quiet and serene on the property and in the hotel--super! Bed very comfortable! Accommodations with views beautiful! Breakfast included beyond expectations!! Quality of food at restaurant for dinner exceptional and prices according! The food in restaurant was excellent beautiful view friendly staff Room above expectations robes view cleanliness and size Only negative was treatment at front desk. The beds were very comfortable. The cottage was clean and well equipped. The whirlpool and steam room were clean and well kept. The dinner menu and quality were absolutely first class. A real pleasure to eat here. Overall, an extremely comfortalbe stay in a great setting. Highly recommended even for non golfers. The Inn at Cobble Beach This rating is a reflection of how the property compares to the industry standard when it comes to price, facilities and services available. It's based on a self-evaluation by the property. Use this rating to help choose your stay! 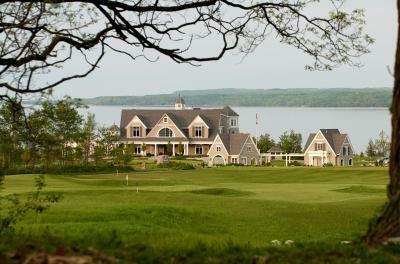 Set on 574 acres of manicured green landscape, this Kemble, Ontario guest accommodations features the award-winning Cobble Beach golf course. It features a full-service spa, gym and an outdoor plunge pool. Guest rooms include free Wi-Fi. 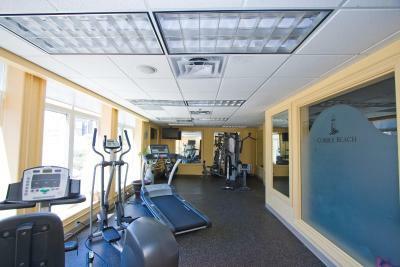 A flat-screen TV and a work desk are provided in each room at The Inn at Cobble Beach. The stylish rooms feature warm colors and include coffee-making facilities. Many offer views of Georgian Bay. Cobble Beach offers on-site dining at Sweetwater Restaurant & Bar, open Thursday through Sunday during winter months. The executive chef prepares deluxe meals for lunch and dinner. 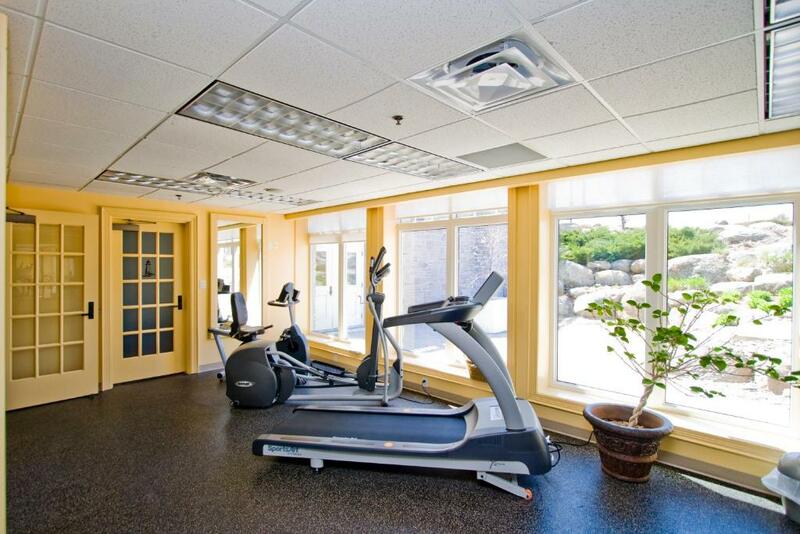 A continental breakfast is offered each morning to inn guests, and room service is available. Located near Gray County Road 1, guests can travel less than an hour for downhill skiing or can cross-country ski on site. 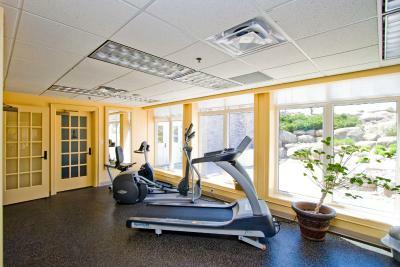 Hiking trails, a private boat dock and tennis courts are all at the Inn. This property is 15 minutes’ drive from Owen Sound city center. Bruce Trail is about 5 minutes' away. This property also has one of the top-rated locations in Kemble! Guests are happier about it compared to other properties in the area. This property is also rated for the best value in Kemble! Guests are getting more for their money when compared to other properties in this city. When would you like to stay at The Inn at Cobble Beach? 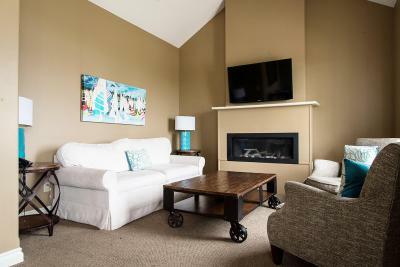 This executive suite features 1 king-size bed, 1 sofa bed, a spacious living room with stunning panoramic views of Georgian Bay, an extra-large bathroom (with double sinks, walk-in shower and separate soaker tub), 2 flat-screen TVs, and coffee-making facilities. Unless otherwise indicated, the rate is based on double occupancy and charges apply for extra guests. Premium suites enjoy beautiful view of Georgian Bay. This 2-level premium loft suite features a king-size bed on the main level, 1 queen-size bed in the loft, and 2 sofa beds. It also features an extra large bathroom (with double sinks, walk-in shower and separate soaker tub), a spacious sitting area, a flat-screen TV, and coffee-making facilities. Unless otherwise indicated, the rate is based on quadruple occupancy and charges apply for extra guests. Offering golf course views, this spacious suite features 1 queen bed, 1 sofa bed, a large bathroom (with walk-in shower and separate soaker tub), a spacious sitting area, a flat-screen TV, and coffee-making facilities. Large luxury suite with golf-course view. It features 1 queen-size bed, 1 sofa bed, a large bathroom (with shower / tub combination), a spacious sitting area, a flat-screen TV, and coffee-making facilities. Spacious cottage overlooks the water. It consists of a seating area with a flat-screen TV. 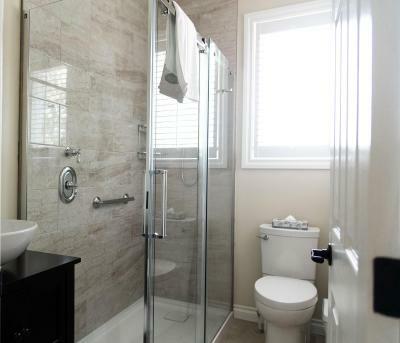 The bathroom is equipped with a walk-in shower. House Rules The Inn at Cobble Beach takes special requests – add in the next step! Debit card The Inn at Cobble Beach accepts these cards and reserves the right to temporarily hold an amount prior to arrival. The Inn at Cobble Beach accepts these cards and reserves the right to temporarily hold an amount prior to arrival. Please note, from November to April the Sweetwater Restaurant & Bar is closed on Mondays, Tuesdays and Wednesdays. Lunch and dinner are served from Thursday to Sunday. The breakfast was very poor, the croissants were not fresh. The dinner closing time is too early, 7.30pm, so we've to go to a restaurant in the nearby village. The cooked breakfast was repetitive. A couple more bikes for guests would have gone a long way. The hotel has no life. It is very artficial. Gnocci too tough and dry ----- all other food and bev. good. Stayed in the Sutton premium suite ----- There were three guests staying in the room ---- only 2 bathrobes supplied and two chocolates. The bathroom sink taps did not work well and the sink on entering did not drain very well at all. Beds comfy, view spectacular and suite very spacious and beautiful. The inn is very well situated for max. enjoyment of the bay and the surroundings - quiet and sureen. Will recommend and come back. Cannot turn room temperature below 21C, had to open window at night. Allergic to down, staff had difficulty locating substitute bedding.